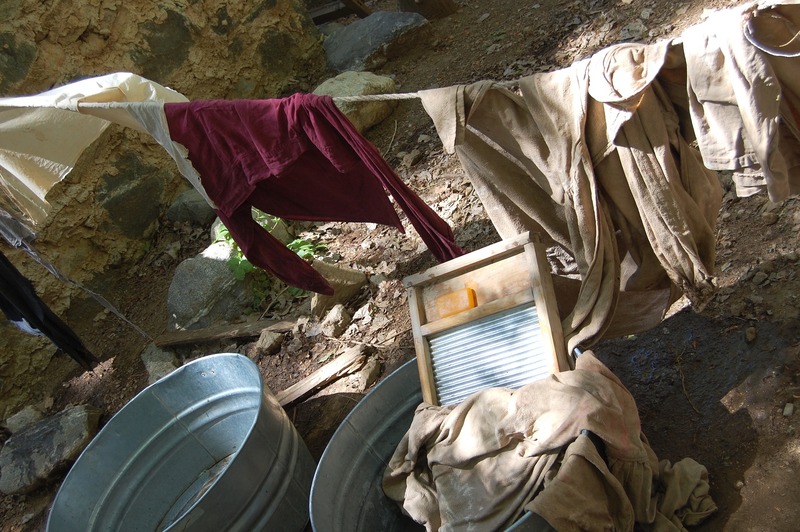 Doing laundry has been a common household activity for years. Whether the technology­ was­ beating the garments on rocks by the river or pushing buttons on programmed washing machines, this process depends on water and a mechanical action usually assisted by soap or an alkali. The purpose of an alkali is to saponify the oils and dislodge ordinary soil and other matter. More often­ than not, the soapy agent holds soil in suspension as it becomes loose during the wash cycle, and is subsequently flushed away during the rinse cycle and centrifugal spin. The drying process for doing laundry at home is either hanging clothes on a clothesline or tumbling them in a gas or electric heated dryer. Dry cleaning, on the other hand, is different. It’s a process that cleans clothes without water. The cleaning fluid that is used is a liquid, and all garments are immersed and cleaned in a liquid solvent — the fact that there is no water is why the process is called “dry-cleaning”. At Lucy’s Cleaners, we understand that different garments and different materials need to be treated differently. It’s not just about tossing things into a machine. For us, doing laundry is a science; one that takes into consideration the type of soil/stain, fabric/material, and garment type. When you bring your items in, we treat it as if it’s an original Oscar de la Renta design; carefully inspecting each piece to ensure that we’re cleaning and treating it correctly. All items are handled with care from the beginning of the process to the very end. We view clothing as an investment, not something that’s disposable. We treat our clients’ clothing with care. Trust your clothes to us. You’ll notice a difference.